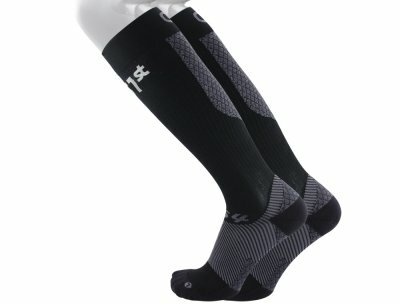 The FS4+® Compression Bracing Socks are a new expansion within the OS1st Socks with PurposeTM program. 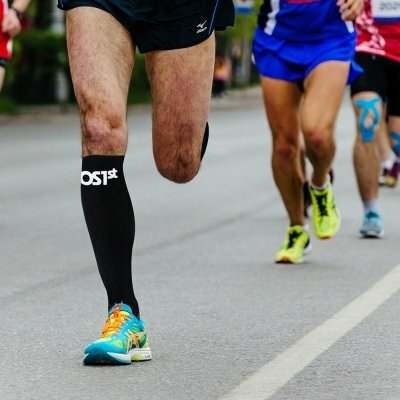 Designed as an all-in-one performance running and recovery sock, FS4+® socks provide relief for ankle swelling, varicose veins, Plantar Fasciitis, Achilles tendonitis, heel and arch pain and shin splints while also improving recovery. 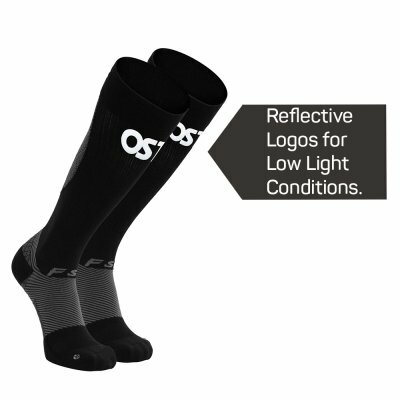 Our proprietary design infused with award winning, patented FS6® technology makes these socks a must-have to help strengthen your foot and leg structure and act as an overall health and performance aid. 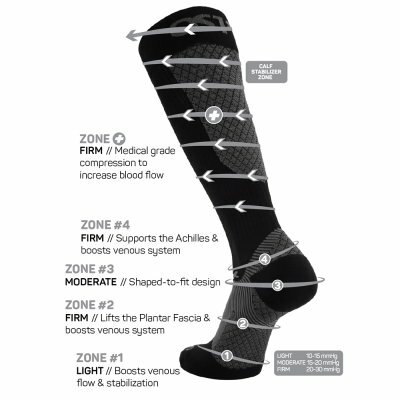 With precise, targeted and medical grade graduated compression levels, the FS4+® features Compression Zone Technology® that is designed for proper foot and leg support and injury prevention. 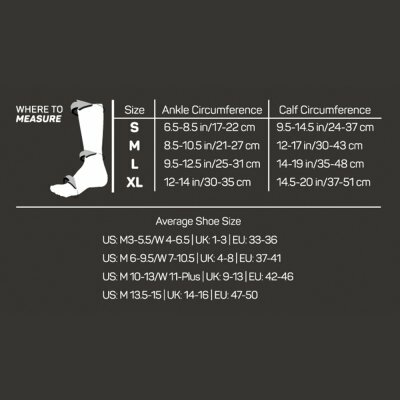 Developed with the highest quality, soft moisture-wicking fabric containing an anti-odor treatment and padding in the right places, the FS4+® creates a technical performance sock that strengthens the foot and leg structure and prevents overuse injuries.